Get lucky at the Casino! Spend an evening out with “Lady Luck” on our casino tours to Three Rivers Casino Tour, 7 Feather’s Casino or Spirit Mountain Casino. Book for 3-8 hours and your casino tour comes with rockin’ tunes and complimentary ice, bottled waters, cups and wine glasses, so sit back and relax, have a drink and prepare for a day of gambling and fun! 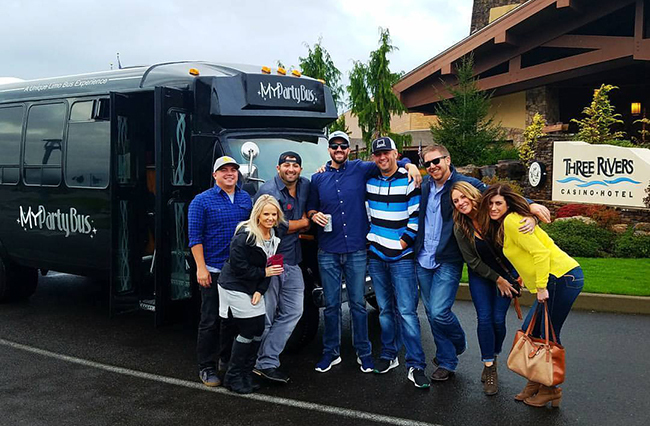 We can’t guarantee that you’ll beat the house, but play your cards right and you’ll definitely have a good time on My Party Bus or Limo. Call Sean today at 541-554-7979.